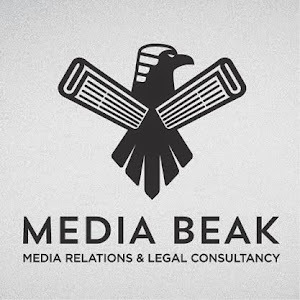 MEDIABEAK: Google loses privacy case. Court confirms 'misuse of private information' as a tort. Google loses privacy case. Court confirms 'misuse of private information' as a tort. The case could have significant impact on Google and other browsers and will be welcomed by privacy campaigners as reining in the wide scope to which Google and others put people's browsing data to use. Google was perhaps an obvious target but it is not just browsers but the majority of retailers, insurers and financial service providers that could also be affected given they also track browsing data to determine customer journeys and behaviours. The basis of the Vidal-Hall v Google claim was straightforward in that the Claimants alleged that Google had misused their private information, and "acted in breach of confidence, and/or in breach of the statutory duties under the Data Protection Act 1998 s.4(4) ("the DPA"), by tracking and collating, without the Claimants' consent or knowledge, information relating to the Claimants' internet usage on the Apple Safari internet browser ("the Tracking and Collation")". There were various elements to the case, such as whether it could be brought in the UK jurisdiction rather than US where Google is headquartered. Under Civil Procedure rule in England and Wales, in order to be able to serve the claim out of (the US) jurisdiction the claimant has to state which ground in paragraph 3.1 of Practice Direction 6B is relied on (CPR r6.37(1)(a)). A court will not give permission unless satisfied that England and Wales is the proper place in which to bring the claim (CPR r6.37(3)). While the Claimants were not successful on all their points, what the judgment did confirm was that in relation to 3.1(9) of Practice Direction 6B, misuse of private information is a "tort where (a) damage was sustained within the jurisdiction; or (b) the damage sustained resulted from an act committed within the jurisdiction." See judgment for full discussion.